In one of the industry’s most anticipated events, Airbus Helicopters presented its all-new H160, raising the standards for performance, cost effectiveness, passenger comfort and environmental impact to create the medium-class rotorcraft benchmark. 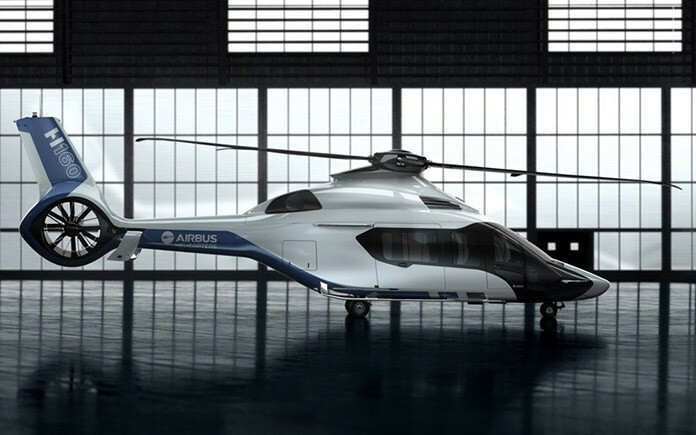 Airbus Helicopters unveiled the twin-engine H160 at the Heli-Expo industry show’s opening in Orlando, Florida, where a full-scale representative model is being displayed on the company’s exhibit stand. The H160’s integration of Airbus Helicopters’ Helionix avionics marks its latest application of the first digital avionics suite to be fully designed and integrated by a rotorcraft manufacturer. Operators will benefit from the increased safety that Helionix® provides through reduced pilot workload, enhanced situational awareness, improved flight envelope protection and system redundancy. In service today on the EC175 and EC145 T2, Helionix® is an avionics family concept that enables software improvements to be integrated and retrofitted on the H160 as well as other helicopters in the company’s current, future and evolved product lines. Airbus Helicopters has invested heavily in the H160 program to ensure efficiency throughout development. Three dedicated prototype aircraft are fully supported by two new ground-based integration test means that enable comprehensive validations of the various system integrations to ensure the highest levels of maturity before the H160’s first flight and shorten the entire development process. The Dynamic Helicopter Zero is a test bench fully representative of the rotorcraft’s dynamic systems, the main and tail rotor flight controls, along with hydraulic, electrical, avionics and health/usage monitoring systems whereas the System Helicopter Zero integrates the H160’s avionics, electrical harnesses, fuel system, hydraulics, flight controls, lighting and all key elements that are connected electrically and involve software. As the first helicopter to be released under the new Airbus Helicopters identity which fully representative of the company’s core values of excellence, agility, unity and integrity, the H160 introduces the company’s new way of naming its product lines in line with its transformation. Consistent with the strategies utilized by Airbus, the “AS” and “EC” letters for in-production helicopters are replaced by “H.” Military versions will be identified with an “M” after the model name. The price of the H160 has not yet been disclosed as commercialization will begin in 2016.